Get the most out of your GoPro Hero4 with its latest update. This firmware offers new features like the automatic shutter option for night lapse mode and continous interval for the same mode. As well as performance improvements. Protune improvements: Adds the ability to lock the shutter speed for greater control under different motion and lighting conditions. The Shutter setting is available for videos. Protune improvements: Adds additional White Balance settings to allow for finer adjustments when optimizing for cool or warm lighting conditions. Available for videos and photos. Protune improvements: Adds additional ISO control settings. Adds additional ISO options, adds the ability to lock the ISO setting for video and set an ISO range for photo capture. 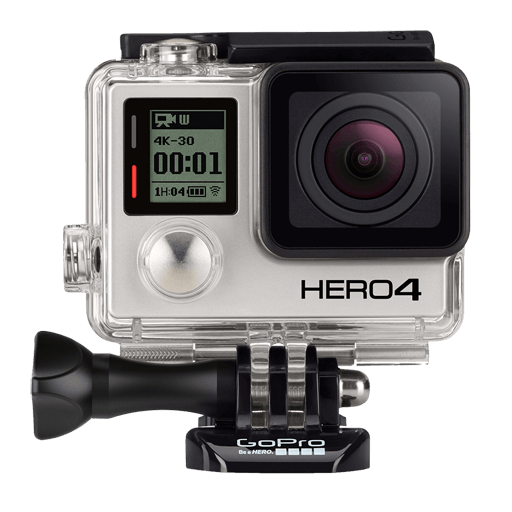 Adds additional Bluetooth functionality to support the Works with GoPro program. Media filters add the ability to sort content in the gallery (thumbnail) view by videos or photos so you can find specific content faster. Filters, the slideshow option, and the ability to delete multiple files can be accessed from the Menu icon in gallery view. Adds Simplified Chinese as a language option on the camera.